When Renault launches the Zoe electric car later this year, it expects the hatchback to far outsell the Leaf EV from alliance partner Nissan in Europe. With an annual production capacity for the Zoe of 150,000 units, the subcompact will be the volume model among Renault's four-model EV range, which includes the Fluence large sedan, Kangoo car-derived van and scooter-style Twizy. "The Zoe is the first electric car in Europe that will address the needs of the mass-consumer market," said Thierry Koskas, Renault's EV project director. Both the Leaf and the Zoe are five-passenger hatchbacks. The Leaf, which is 4445mm long, is larger than the Zoe at 4,084mm. The Zoe's main selling point is that it will offer more advanced technologies for a lower price compared with the Leaf, Koskas said. "The Zoe is a next-generation car. It is launching two years later than the Leaf. The Zoe will benefit from technologies that the Leaf does not have, such as a braking energy-recovery system, a heat pump, and a special series of energy efficient tires," he said. The Zoe will retail at a starting price of 15,700 euros in France and will be priced similarly in most western European markets. The starting price for the Leaf in France is 30,990 euros. 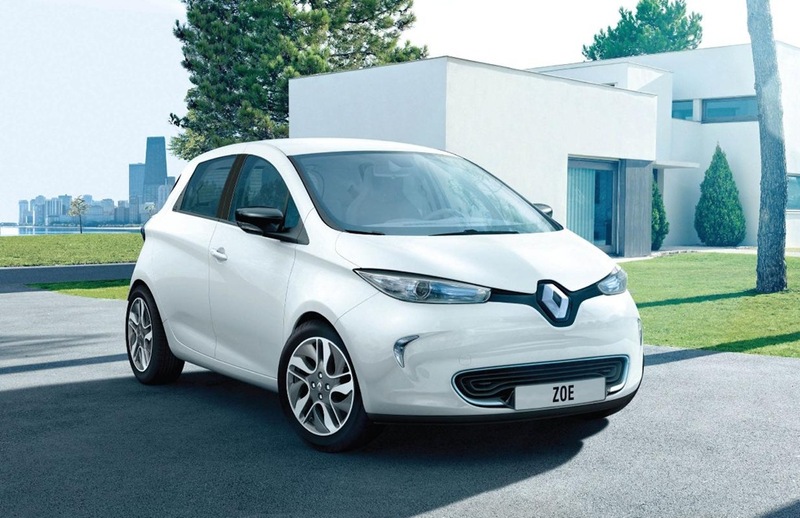 Renault expects the fact that the Zoe can be driven for a relatively long distance on a single battery charge will be a key selling point for the car. The Zoe has a typical range of 150 km in mild weather and 100 km in cold weather. The maximum range is 210 km. The Leaf's range is 175 km. Renault says Nissan's launch of the Leaf is helping to convince buyers in Europe that electric cars can serve mainstream needs. "The EV market does not really yet exist so creating that market takes time," Koskas said. Nissan has a larger global capacity for the Leaf, but lower sales ambitions in Europe. The Japanese automaker is creating capacity to build 250,000 Leafs a year, with annual production of 25,000 planned in Sunderland, England; 150,000 in Smyrna, Tennessee in the United States and 50,000 Japan.